Call for Papers and Panels: ETHNOGRAPHY WITH A TWIST, 12–14 February 2019, University of Jyväskylä, Jyväskylä, Finland. Deadline: 31 August 2018. Contemporary political, environmental, and social challenges and crises, rapidly changing societies, development of technology, and encountering of people and cultures produce new environments of research and a need to rethink innovative research methods. The ETHNOGRAPHY WITH A TWIST conference will bring together researchers from diverse disciplines in the humanities and social sciences. We welcome papers and panels that explore ethnographic research from a wide range of perspectives that reflect the variety of backgrounds and/or address personal and affective experiences of the researchers. The conference will provide an interdisciplinary arena for lively discussion and exchanges in an inspiring environment that allows ethnographic research to be approached without the weight of tradition and encourages thinking outside the box and the usual comfort zones in our respective fields. The University of Jyväskylä is a nationally and internationally significant research university and an expert on education that focuses on human and natural sciences. The University is Finland’s leading expert in teacher education and adult education, as well as the major exporter of education. The Faculty of Sport and Health Sciences is the only one in the country. 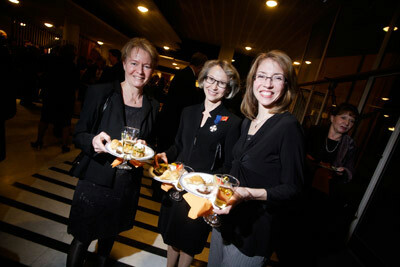 The University of Jyväskylä is known for its dynamic operating culture and strong commitment to social responsibility. Department of Language and Communication Studies is currently seeking to recruit an Associate Professor (tenure track), Intercultural and Digital Communication, starting January 1st 2018 for a fixed-term period of five years. The Associate Professor’s position is allocated to Department of Language and Communication Studies in the discipline of Intercultural communication. The position supports the profiling of the department at the two core fields of the University strategy (Languages, Culture and Communities in Global Change Processes, and Information Technology and the Human in the Knowledge Society) and the profiling measure Language in Changing Society. The duties of the associate professor include active international research and publication activity, initiating and leading research projects, acquiring external research funding, active participation in national and international networks, teaching and supervision in undergraduate and postgraduate training, and leading the international master’s programme. The duty of the associate professor is in particular to develop future oriented research and teaching in the field of intercultural and digital communication. The successful applicant needs to have strong evidence of research and teaching in intercultural communication. Research in the areas of digital communication and communication technologies is considered an asset. Success in acquiring external funding, supervision of theses, and administrative experience are also considered an asset. The emphasis in the evaluation is based on strong international research profile and on experience in teaching and supervision. In addition, the successful applicant is expected to have broad theoretical and methodological expertise. Please submit your application at the latest on Monday, August 14th 2017 using the online application form. The University of Jyväskylä is a nationally and internationally significant research university and an expert on education that focuses on human and natural sciences. The University is Finland’s leading expert in teacher education and adult education, as well as the major exporter of education. The Faculty of Sport Sciences is the only one in the country. Department of Communication in the Faculty of Humanities is currently seeking to recruit staff to the position of Professorship in Journalism, based on a contract of employment to be filled as of January 1, 2016, in effect until further notice. The Faculty of Humanities in the University of Jyväskylä studies culture, arts and traditions as well as languages and communication in organizations and societies. One of the Faculty’s special characteristics is comparative, researcher oriented and multi-method research and education. The originality, multidisciplinarity and innovativeness in the field of Humanities are apparent in e.g. the many research projects connected with technology. The definition of the Faculty’s core areas has taken account of the high quality of both research and education, the scope of the activities as well as the National educational responsibilities. Regarding the five core areas in the University of Jyväskylä, the Faculty of Humanities is strongly associated with three (Education, Learning and Teaching in the Future; Languages, Culture and Processes of Change in the Society; Human Technology). The professorship in Journalism is located on the University’s strategic core areas of Language, Culture and Social Change Processes and Human Technology. Within the research conducted at the Department of Communication, the professorship is located on the core areas of Communication, media and journalism in globalizing and multicultural societies and Working Life Communication and Communication Professions in Networked Society. The duties of the professor include developing interdisciplinary research and education in accordance with the strategic objectives of the discipline, the Department and the University of Jyväskylä. This includes active participation in applying for supplementary research funding, launching and implementing research projects. The professor is expected to participate in teaching and supervision activities both on basic and postgraduate level and also to take part in the Department’s administration. In addition, the professor is expected to engage in high quality national and international publishing activity and to participate actively in international research and education work. The professor is specifically expected to have expertise in the areas related to the future of journalism, such as media and journalism in a networked and multicultural society, effects of social media on journalism and its relationship with the audience, journalistic innovations, as well as journalism and globalization. The duties and qualification requirements for the position of the professor are stipulated by the University of Jyväskylä Regulations. The selected person is required to have a full command of Finnish language. When considered appropriate, the university may grant exemption from the language proficiency requirements. The teaching languages in the professorshipin Journalism are Finnish and English. A good command of English is required and a proficiency to teach in English will be considered beneficial. The professor’s job-specific salary component is based on the job demands levels 8 – 11 (4617,75 €/month – 6803,52 €/month) according to the salary system concerning teaching and research staff at universities. In addition, a personal performance-based salary component amounting to the maximum of 46,3% of the job-specific salary component is also paid. The appointment procedure for filling the vacant professorship provides more information on the duties involved and on the ways of meeting the qualification requirements, as well as on the application and appointment procedure itself. The appointment procedure is available on the Faculty webpage. For additional information, please contact Dean Minna-Riitta Luukka, and Head of the Department, Professor Epp Lauk. 6. a numbered list of all scientific and other publications with which the candidate wishes to prove his or her eligibility and merits for the post. 8. a brief (2-3 pages) written account of how the applicant plans to develop the research, teaching and societal interaction related to the domain of the post in the Faculty of Humanities. Please submit your application at the latest on February 1, 2015 using the online application form. Is culture the fourth pillar of sustainability alongside the ecological, economic and social aspects? How does culture act as a catalyst for ecological sustainability, human well-being and economic viability? What would our futures look like if sustainability was embedded in the multiple dimensions of culture? This landmark conference that takes place in Helsinki, 6-8 May 2015 explores the roles and meanings of culture in sustainable development. The new ideas generated in the conference will inform and advance understandings of sustainability with cultural studies and practices, and vice versa. The conference explores theories and concepts; policies and governance; and practices and methodologies that explicitly analyse multiple dimensions of culture in sustainable development. Examples that illustrate and reveal the roles of culture in sustainable futures may be found in livelihoods, everyday life practices from housing to consumption, food systems, tourism, landscapes, heritage, media, education, planning, architecture, design and more. These experiences will be brought together by scientists, practitioners and policy-makers in plenaries and smaller sessions based on scientific, artistic, dialogical and hybrid presentational formats. Call for proposals is now open. The deadline for research paper session proposals is 1st October 2014 and for papers and other forms of presentation 5 th December 2014. Selected full papers and other contributions will be published in conference proceedings and in a book within the recently-launched book series Routledge Studies in Culture and Sustainable Development. The conference is organised by COST Action Investigating Cultural Sustainability and hosted by the University of Jyväskylä, Department of Social Sciences and Philosophy. Submit your proposal and join the dialogue! Stephen Croucher (PhD, University of Oklahoma, 2006) is Head of the School of Communication, Journalism and Marketing, Massey University, Wellington, New Zealand. His research focuses on three main area of interest. First, the cultural adaptation process. Within this area of study he has explored adaptation in 15 nations. Within these studies he has shown through qualitative and quantitative analyses that current models of adaptation do not adequately describe: the fusion of identities that occur during adaptation, and the influence/resistance of the host culture. Second, and closely related to cultural adaptation is his work into integrated threat theory. In these studies Croucher has shown how many dominant cultural groups in Europe, North America, and Asia fear immigrant and minority communities. These fears (prejudice) lead to less acceptance of adaptation overtures from the minority groups. Third, he studies the relationships between communicative behaviors/traits and religious identification and religiosity. In this line of work he has found religion (identity and religiosity) to have a significant effect on a variety of traits/behaviors. 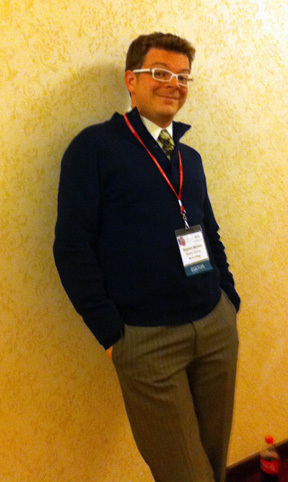 Croucher has published 4 books (is working on his fifth), and more than 50 articles in journals such as: Communication Monographs, Journal of International and Intercultural Communication, Management Communication Quarterly, Communication Studies, International Journal of Conflict Management, and Journal of Intercultural Communication Research. 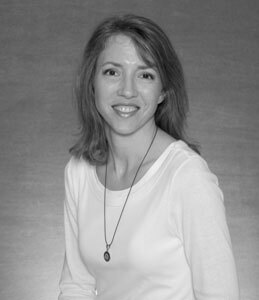 Croucher is active in various professional associations and has served in a variety of capacities: current Vice-Chair of the Intercultural Division of the International Communication Association, current editor of the Journal of Intercultural Communication Research and Speaker & Gavel, and World Communication Association Vice President for Europe. He also serves on the editorial board of numerous journals: Communication Studies, Journal of International and Intercultural Communication, International Journal of Conflict Management, Mass Communication and Society, and the Western Journal of Communication. 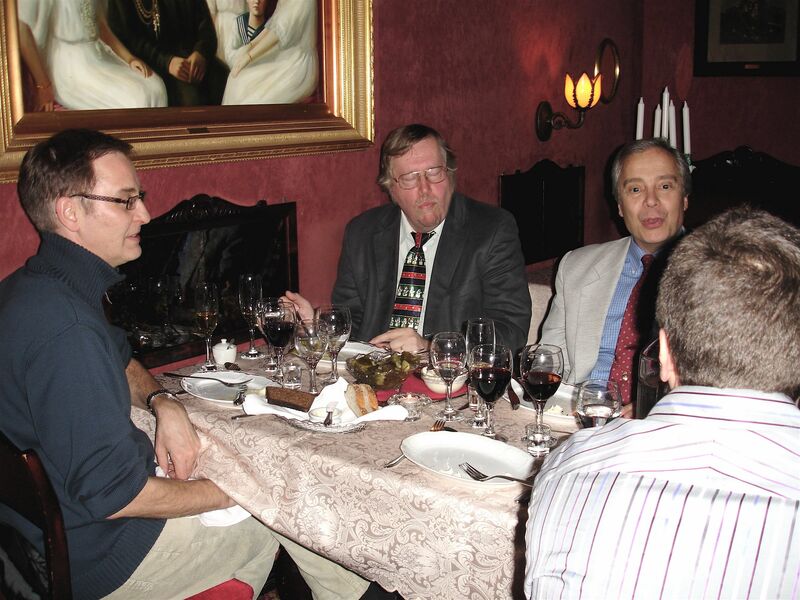 The Nordic Interdisciplinary Conference on Discourse and Interaction (NorDIsCo) was established in 2010 to bring together researchers and doctoral students in the Nordic and Baltic region who investigate discourse and interaction from different disciplinary perspectives. After two successful meetings in Aalborg (2010) and Linköping (2012), it is now our pleasure to host the third Nordic and Baltic conference at the University of Jyväskylä (Finland). The conference will be organized by the Department of Languages and the Centre for Applied Language Studies in collaboration with the Finnish Association for Applied Linguistics (AFinLA) November 12-14, 2014. The conference will highlight research on the organization, structures and constitution of texts, talk, discourse and social interaction and provide a forum for discussion and debate across disciplinary boundaries. The theme of this third conference is Discourse, communities and identities in the North. Hosted at the University of Jyväskylä (Finland), Nordisco 2014 welcomes contributions on any aspects of discourse and social interaction, particularly with respect to discourse, communities and identities in the North. *How can discourse studies help us understand developments in today’s communities in the North? *What kinds of theories, methods, tools and technologies are needed to better understand changing identities and the challenges of communities? *How can discourse studies help understand, inform, advice and intervene in the lives of communities to promote improved communicative practices? We invite contributions from different and diverse fields of enquiry, including – but not limited to – discourse studies, conversation analysis, discursive psychology, critical discourse analysis, interaction analysis, rhetoric, narrative analysis, social semiotics, multimodal discourse analysis, gesture studies and communication activism. The conference will be hosted by the Department of Languages and the Centre for Applied Language Studies at the University of Jyväskylä, Finland, on November 12-14, 2014. The conference will consist of two plenary presentations, panel sessions, parallel paper sessions and a plenary round table discussion with contributions from leading researchers representing different domains of discourse studies. Elizabeth Lanza (Oslo) and Anna Lindström (Uppsala) are plenary speakers, and Paul McIlvenny (Aalborg), will chair a round table on the future of discourse and interaction studies in the Nordic region. More information about the round table will be given in the second Call for Proposals. We invite submissions for panel sessions and paper presentations. Panel sessions consist of several thematically related papers to be scheduled in 90 or 180 minute slots. Paper presentations are organized in parallel sessions with 30 minute slots that include discussion time. We will consider abstract proposals for concluded research projects as well as work-in-progress. If you wish to submit an abstract for consideration by the Scientific Committee, please visit the conference website for more detailed information on the submission process. The online submission system will open in January 2014. The deadline for proposals for panel sessions is on February 28 and for individual paper presentations April 30, 2014. Presentations can be given in English or in a Nordic language (if preferred). Please indicate your language preference when you submit your abstract. Abstracts will be reviewed for quality, relevance, topicality and originality by the Scientific Committee. The Department of Communication at the University of Jyväskylä, Finland, seeks a permanent Full Professor in Speech Communication. The position is located at the Department of Communication within the Faculty of Humanities. The Department houses four disciplines: Speech Communication, Organizational Communication, Journalism, and Intercultural Communication. Applicants’ substantive areas of research and teaching must contribute to areas of strength in the Department: media and communication in social processes of change; human interaction, communication and culture; communication and well-being in work and learning environments. More specifically, Speech Communication in the Department of Communication focuses on human social interaction, and the aim is to understand speech and communication behavior and the dynamics of interaction, both in face-to-face and online communication. A variety of phenomena and areas are investigated, such as friendship, couple and family relationships; teams, groups and networks; interpersonal communication in the workplace and in organizational contexts; the connection between social interaction and well-being; persuasion and argumentation; communication ethics. The University of Jyväskylä, with 15,000 students, has been ranked by the Shanghai-based Academic Ranking of World Universities as one of the top 500 universities in the world. Jyväskylä is located in Central Finland, close to nature, with excellent domestic and international connections. Deadline for application: 19 October 2012. Applications will be examined by a selection committee which will shortlist a small number of candidates. The employment start date has been set to January 2013, but it is negotiable. The detailed call for applications is here. For additional information, please contact Director of the Department of Communication Pertti Hurme (email: pertti.hurme at jyu.fi) or Dean Petri Karonen (email: petri.k.karonen at jyu.fi). When planning ahead for my sabbatical, I realized that a Fulbright award was an excellent opportunity for me to achieve the goals of growing professionally and living abroad with my husband and our three children. I applied for a grant in Finland because I wanted to work with a colleague with whom I had been collaborating since 2002. I drafted a plan for a project that would blend our research interests and reviewed it with my Finnish colleague at the 2009 NCA conference in Chicago. With encouragement and support from her and her department (including a letter of invitation), I submitted my Fulbright application in the summer of 2010. In March of 2011, I was notified by letter of the acceptance of that application. My two goals were finally realized in January of 2012 as my family boarded a plane headed for Jyväskylä, Finland, where we would live for the coming 5 months. While in Finland, I taught two courses and conducted research in the Department of Communication at the University of Jyväskylä. The teaching connected me with students from all over Europe, exposed me to different worldviews, and prompted me to adapt my teaching style in new and unique ways. The research project blossomed into a study involving five countries on four different continents. It was amazing to watch this kind of collaboration develop through conversations, emails, Skype calls, and joint meetings. I had the opportunity to build relationships with Finnish and European colleagues, fellow Fulbrighters, and members of the community where we lived for 5 months. All of these experiences changed me, and my family as well. The challenges and obstacles we faced together forced us to re-evaluate beliefs that we took for granted, revise ineffective strategies, and review our motivations for living outside of our comfort zone. Even when reflecting on the most difficult days, I marvel at the amazing, wonderful experience the Fulbright grant provided us. A Fulbright experience is worthy of the preparation devoted to crafting a solid application. Check out the following websites for more information on Fulbright grants, the Fulbright Center in Finland, and the Fulbright scholar list to view others from the discipline who have earned grants. I especially encourage individuals with children to apply. In keeping with Senator Fulbright’s initial goals, living abroad with children is a prime opportunity to strengthen their empathy for others and foster a worldview that integrates compassion and understanding. The Fulbright Program is an outstanding resource for collaborating with others on studies of communication, dialogue, and intercultural relations. I have been extremely fortunate over the years to have the support of this program. This began in 1992-1993 when my family and I lived in Finland where I worked with colleagues at the Universities of Tampere and Jyvaskyla, and at the Turku School of Economics. 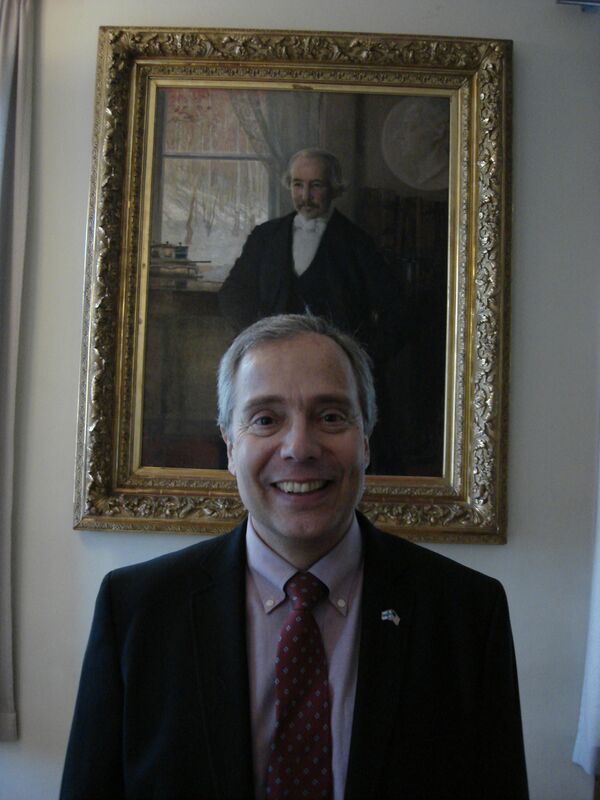 Later, during the 2007-2008 academic year, I held the position of Distinguished Fulbright Professor and Bicentennial Chair of North American Studies at the University of Helsinki. These opportunities have led to longstanding collaborations with colleagues in Finland, to a deepening of studies in intercultural communication and dialogue, and to forging personal relationships that will last a lifetime. The position is located at the Department of Communication within the Faculty of Humanities. The Department houses four disciplines: Organizational Communication, Speech Communication, Journalism and Intercultural Communication. Each of the four disciplines offers postgraduate studies. The aim of the Department is to conduct high quality research of communication and offer high-level and diverse academic education in communication. The research and education activities focus on: (1) Media and Communication in Social Processes of Change, (2) Human Interaction, Communication and Culture and (3) Communication and Well-Being in Work and Learning Environments. The Department’s teaching and research staff consists of seven professors and nine other teachers and researchers. In addition, the Department has 10–12 temporary researchers. The number of students with Communication as their main subject is approx. 550 and the annual intake of students is 80. The number of postgraduate students is 70. Intercultural Communication includes both the Master’s Programme in Intercultural Communication and doctoral schooling, and has a professor and a university lecturer in its staff. The Intercultural Communication Master’s Programme has 60 students and 6 doctoral students. The studies prepare for careers in communication involving significant intercultural contact. Research activities within Intercultural Communication focus on interaction in multicultural settings. The core areas are intercultural competence, and communication in multicultural communities and organizations. The challenges of internationality and multiculturality in both interpersonal and organizational communication as well as various media contexts will be met by applying research results. According to § 33 of the Universities Act, the professor shall carry out and supervise scientific research or artistic work, provide instruction based on such work and follow developments in science or art, as well as participate in societal interaction and international cooperation in his or her field. According to § 67 of the University of Jyväskylä Regulations, members of the teaching and research staff are obliged, within their respective job descriptions and work plan, to conduct and supervise scientific research, follow the developments in their respective disciplines, examine theses and dissertations, teach and enhance teaching practices, provide study counseling, carry out relevant examinations, take part in the student selection process, as well as attend to tasks ensuing from memberships in the administrative bodies of the University and to other tasks counted as part of their work or assigned to them. In addition, they are to provide the necessary reports concerning their teaching and supervising activities, publications and scientific activity in general, and the examinations belonging to their sphere of responsibilities. The professorship is closely associated with two of the University’s strategic core areas, Languages, Culture and Social Change and Human Technology. The professor is expected to conduct research on interaction in multicultural settings and must have a profound knowledge of the discipline. The professor is also expected to conduct and develop research and teaching within the Department’s focus areas, which presupposes applying for supplementary research funding. The duties also include developing interdisciplinary research and education in accordance with the strategic objectives of both the Department and the University of Jyväskylä. The professor will also be expected to participate in the administration of the Department. In addition, the duties include teaching, supervision and development activities regarding the Intercultural Communication Master’s Programme, the Intercultural Communication specialization option of the Interactions Master’s Programme, commencing in 2012, as well as the Doctoral Programme in Intercultural Communication. The professor will also be responsible for the Intercultural Studies (ICS) Programme and participate in the development and implementation of the European Masters in Intercultural Communication Programme. The professor is also expected to cooperate closely with the other disciplines of the Department. The emphasis in the work of the professor is on active research, and launching and implementing of research projects, as well as participation in joint international research and teaching activities. In addition, the tasks include supervision of doctoral dissertations and Master’s theses as well as providing instruction to basic degree levels and postgraduate level students. In accordance with Section 57 of the University of Jyväskylä Regulations, a professor is required to have a doctoral degree, solid scientific competence, experience in leading research projects, ability to provide research-based teaching and supervising of high quality, as well as proven experience in international research cooperation in his/her field. Practical familiarity in the sphere of duties is not required. The applicant’s merits are assessed on the basis of scientific publications, other scientific research results, experience in teaching and supervising, as well as pedagogical training, production of textbooks and other teaching materials, other indications of skills achieved in education, and if necessary, teaching ability as shown by trial lectures. In addition to this, the applicant’s activeness in the scientific community, success in acquiring complementary research funding, as well as involvement in international scientific work and international positions of trust will also be considered. According to Section 1 of the Government Decree on Universities (770/2009), which defines the language proficiency requirements for university teaching and research positions in Finland, a full command of the teaching language, Finnish, is required. The teaching languages in the professorship in Intercultural Communication to be filled are Finnish and English. A good command of English is required and a proficiency to teach in English will be considered an additional qualification. When considered appropriate, the university can grant exemption from the language proficiency requirements. In accordance with Section 65 of the University of Jyväskylä Regulations, a professor is required to complete studies in university pedagogy or equivalent within two years of the beginning of the employment contract, unless studies have already been completed by the time of appointment. This prerequisite concerns all teaching staff whose employment starts on 1 August, 2012 or thereafter. The professor’s job-specific salary component is based on the job demands levels 8 – 11 (4434,84 €/month – 6541,87 €/month) according to the salary system concerning teaching and research staff at universities. In addition, a personal performance-based salary component amounting to the maximum of 46,3% of the job-specific salary component is also paid. The application form is available at the University webpage www.jyu.fi/en and the appointment procedure on the Faculty webpage www.jyu.fi/hum/en. The appointment procedure for filling the vacant professorship provides more information on the duties involved and on the ways of meeting the qualification requirements, as well as on the application and appointment procedure itself. ● A list of publications drawn up according to the regulations of the Academy of Finland covering all the scientific and other publications with which the candidate wishes to demonstrate his or her eligibility and merits for the post. o research-related popularized articles and radio or TV programmes. The publications are to be listed with full reference data, containing the names of the authors and the title and publisher of the work (see http://www.aka.fi/en-gb/A/For-researchers/How-to-apply/Appendices/List-of-publications/). ● A maximum of 10 publications, numbered in accordance with the above list and arranged in four identical packages ready to be sent to the external evaluators.For additional information, please contact Dean Petri Karonen (mobile +358 (0) 400247388, email petri.k.karonen@jyu.fi), or Director of the Department of Communication Pertti Hurme (mobile +358 (0) 505471612, email pertti.hurme@jyu.fi). The applications and their attachments for the post shall be addressed to the University of Jyväskylä and delivered to the University Registry Office, Seminaarinkatu 15, or mailed to the following address: University of Jyväskylä, P.O. Box 35, FIN-40014 University of Jyväskylä, Finland. The closing date for the applications is October, 17, 2011 at 16.15. Applications will not be returned to the applicant.